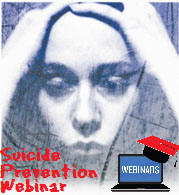 What Factors Place Students at Risk of Suicide? How can a Student who is Potentially Suicidal be Recognized? What Can Educators and Others Do? What are the Schools Responsibilities Regarding Assessment? Take this Comprehensive Webinar On-Demand today!